The owners behind the major Halley Rise want the county to approve a reshuffling of the square footage on what they say is a crowded block in the project. 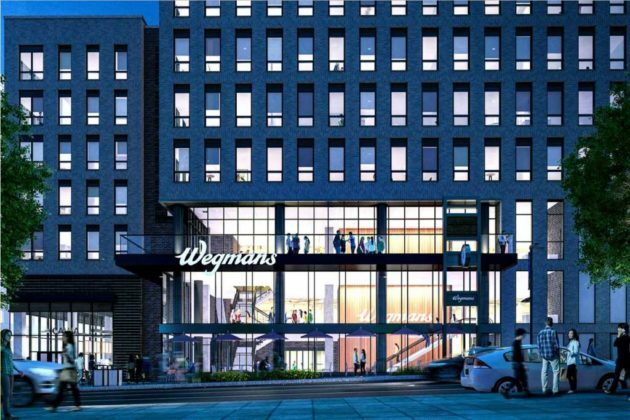 Right now, work is underway on the portion of the 4 million-square-foot mixed-use development that will bring Reston its first Wegmans in June 2020. 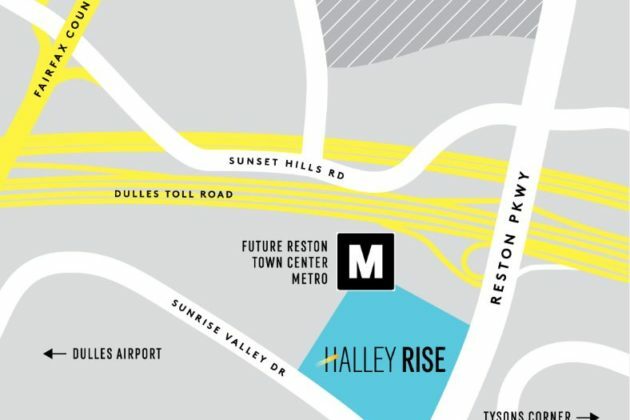 Halley Rise will be adjacent to the Reston Town Center Metro Station, occupying the northwest corner of the intersection of Reston Parkway and Sunrise Valley Drive. 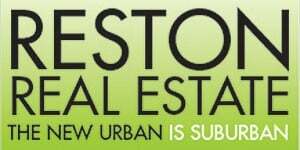 One Reston Co. LLC and Two Reston Co. LLC want to redistribute some of the square footage from three denser blocks to two different blocks, “which still have [the] capacity for additional development,” according to the application. 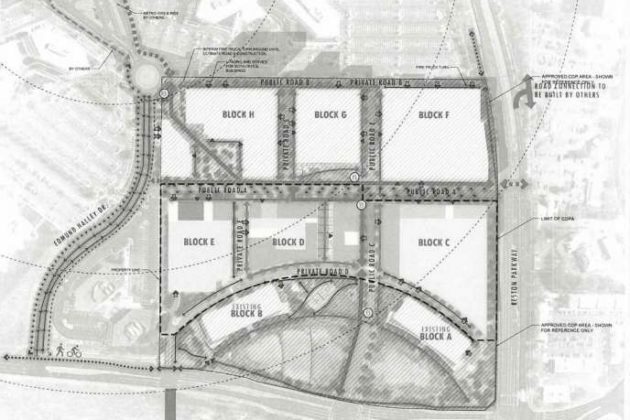 The proposed changes would shift the hotel from block G to block E. Block E also would have a significant chunk of its retail space shifted elsewhere, along with moving all of its residential units to a different block. Meanwhile, block H would shave off about 150,000 square feet of office space. The largest change would make block D the densest in the development with 100,000 square feet of office space, in addition to 391 residential units and four times more retail square footage. The proposed changes were spurred by the realization that retrofitting the existing parking structure on block E with more than 400,000 square feet of development “would be more challenging than [the applicant] initially anticipated,” the application says. The application, which stresses that the proposed changes do not adjust the project’s mix of uses or density, calls the proposal “modest improvements” that will allow for a new pedestrian promenade. 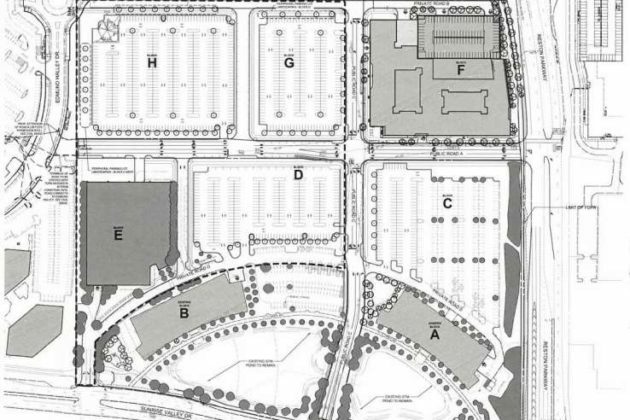 In early March, Hunter Mill District Supervisor Cathy Hudgins’ requested the Fairfax County Board of Supervisors speed up the review process for proposed plans that would adjust the grid of streets and accelerate construction of the streets to coincide with the opening of the grocer. The Fairfax County Planning Commission is set to take up the proposal with a public hearing on May 22.